3/20/08 – Thursday Night Party at Virtual CSI:NY: The detectives of Virtual CSI:NY remain on the case as new episodes of CSI:NY will return to television on April 2nd . With Easter looming about, things could get a bit interesting! 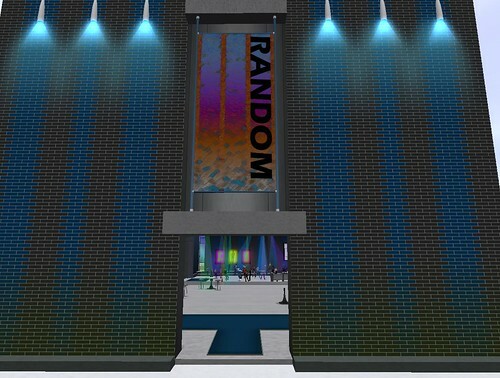 Grab some colored eggs, chocolate bunnies, and enjoy the weekly Thursday party at Club Random at 7pm PST. 3/21/08 – Friday Night Party at The L Word in Second Life: The last episode of Season 5 is upon us and the girls of the L Word still have some unfinished business. Much like the girls in the L Word in Second Life, thereâ€™s plenty of activity going on. Catch up with all of the gossip, parting, and the discussion about the favorite girls of the L Word at 5pm PST at the L Word Sim in Second Life. This entry was posted in Events and tagged ASpiRE!, Relay for Life, RFL of SL Clothing Fair, Second Life, The L Word, Virtual CSI:NY. Bookmark the permalink. Wow I have been desperate to see this event because I have heard a lot about this event and it is going to be awesome. There are only few events where I like to go and have some fun when you are on outing. Top Android Apps to Change your Photo and picture into cool animated Cartoon Many people spend their entertainment time by using doing exceptional kind of factors, however, the images lovers constantly try to find new strategies so as to improve and polish their talents.